I haven’t posted on here in a long time, so what better way to get back into my blog than with a brief recap of three books I’ve read this month. Leadville by Edward Platt – This book was suggested to be back when I was living in San Francisco when I told someone in London where I was going to be living. Little did I know how fitting this would be. Leadville is subtitled “A biography of the A40” and tells the story of Western Avenue in London. 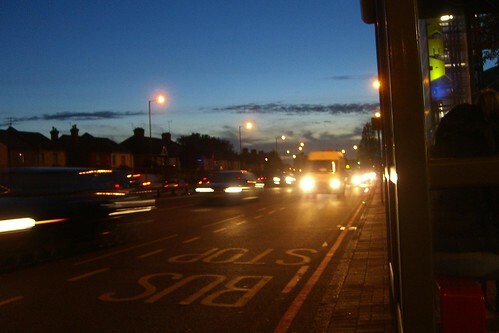 Edward Platt, the author, looks into the lives of the people living beside this extremely busy commuter road. As he begins to interview the residents, he quickly realizes that he has stumbled into the tail end of a decades-long project to move the residents out of their houses to accomodate the widening of the road. While to an outsider it may look like a vision of hell, living practically on top of a motorway, as he talked with many of the long-time residents he realized that many of them were not in a hurry to leave. He also encounters squatters and a variety of other more transient residents, including temporarily-housed council tenants who don’t know where they will go when they are finally forced to leave. Platt also delves into the history of development in West London and looks at how it differed from the development of similar communities in the United States. All in all, an excellent book to read if you want to learn about the development of suburban London in the 20th Century and the politics of roads. My own existence in London is centered very close to a number of roads that closely resemble the A40, as does the residential architecture of my neighbourhood. Concrete Island by JG Ballard – I had never read Ballard before picking up this book at the local library. I realized that if I was going to be an architect and live in the UK, I needed to read Ballard as he has been a huge influence in understanding the urban built environment. Ballard has never been as popular in the US as he is in his native country, though I’m still surprised at myself that I hadn’t picked it up. Concrete Island tells the story of a wealthy 35 year-old architect (okay, you can already tell it’s a work of fiction) who goes off the road on his commute home from Central London and finds himself trapped on a traffic island. Influenced by the recent development of urban motorways (the book dates to the early 1970s) and Ballard’s childhood love of Robinson Crusoe, the book reads as plausible, despite the unlikeliness of it actually occuring, due to the visceral style in which it is written. This was the perfect follow-up to Leadville because it gets at many of the same points dealing with the alienation caused by the modern vehicular landscape created in the second half of the 20th Century. The psychological implications of being trapped in this landscape are explored in a fascinating and sometimes disturbling manner. The Architecture of Happiness by Alain de Botton – I should start this off by saying that this is the type of book I never would have read, had they not happened to have it at the library down the street. It was actually one of the only books in the “Architecture” section that wasn’t about remodeling your kitchen. While I’ve seen this author’s name all over the place for the past few years, I hadn’t actually read anything of his save for a magazine article. This book was a definite counterpoint to the other two. Platt and Ballard spend their entire books essentially describing the design of dystopia, while Alain de Botton seeks to find the secrets to what makes people happy in architecture. The main problem with the book is its very premise – it’s not really a building’s job to make us happy. In fact, after studying architecture as an art student in undergraduate art history classes, attending graduate school to study architecture, and spending several years practicing architecture, I don’t think I’ve ever heard the word “happiness” used in the context of architecture, except for this book. De Botton likes the English city of Bath, some modern houses (if they have a touch of the traditional), and staying at historic Japanese inns. He dislikes Corbusier’s urban planning, fake Tudor houses with plastic beams, and poorly-proportioned residential skyscrapers. He never posits much of a theory as to what the “architecture of happiness” actually is. He also fails to recognize that for a variety of reasons, not all of the world should be designed to be happy. While de Botton wishes London could have been as beautiful as Paris, he never mentions the immense upheaval caused by Hausmann as he forced his boulevards through the city (nor the alternative motives behind their creation). As nice as modern-day Paris may be (and as happy as it may make the author) happiness had very little to do with the redesign of the city in the 19th Century.This is same fault that I found throughout the book – it doesn’t dig very deep and relies on a fairly simple understanding of architecture and architectural history. The book fails on many levels, but it may be a good introduction to architecture for someone browsing the library for a book on remodeling his or her kitchen. Andrew is a assistant professor of Architectural History at the University of California, Berkeley. I was familiar with the topic of this book prior to reading it because I studied with him while I was a graduate student there a few years ago. Andrew Shanken looks at the “culture of anticipation” that arose during World War II in the United States as architects planned for the year “194x”, the year the war would end and the austerity caused first by the Great Depression and then by the war would finally end. He tracks the steady rise of interest in planning, as architects envision themselves as controlling a complete redesign of society in the postwar era. Shanken spends a lot of time in the book looking at how many of the well-known architects of 1940s worked with prominent companies to promote their ideas and in turn tie them to consumer culture. While the industry magazines of the day did deal with the issue of “planning’, some of the most prominent publications of the day were actually produced in pamphlet format by private companies like Zurn Plumbing or Revere Copper and Brass. In pamphlets that have seemingly little to do with their products, architects advocated for every citizen to take part in civic planning (though there are several funny examples of the “planning” concepts being used to sell mundane products like toilets or flooring). As the end of the war drew close, it became clear to many large companies that an expanded version of the status quo would suit their needs better than a wholesale change of both the means of housing production and the role of the government in society. As Congress turned away from planning and Keynesian economics fell out of favor with a turn towards classical capitalism, modern architecture was singled out. As Shanken points out in the afterward, the battle between collectivism and laissez-faire capitalism has been a steady feature in American society with each generation seeing it play out differently. In the late 1940s and into the 1950s, an individualistic worldview and lassez-faire economics combined with massive Defense Deparment infrastructure investments in road-building would lead to the auto dependent suburbs that quickly surrounded every American city. Large-scale regional planning of the type imagined during the War was generally not implemented. The planning that did occur was often the most destructive sort. Slum clearance, a popular topic in planing literature of the 1940s, did happen to large areas of many cities during the 1950s and 1960s. Horribly disruptive and deliberately targeting the poor and minority groups, cities often bulldozed acres of housing with no clear plan as to what would replace it. I would love to have another chapter in this book that traces the lineage of the planning movements of the World War II era into the 1950s to see how the Utopian visions of that era ended up being very selectively deployed. I think that Shanken is most successful in setting the tone for the era of the 1940s. Most architects hadn’t seen a significant amount of work in 15 years as the war drew to a close. There was going to be a housing crisis when soldiers returned from abroad contributing to a predicted postwar employment crises. This book does an excellent job of explaining how this scenario provided the perfect opportunity for architects to combine European modernism with American capitalism and then in turn sell it to the general public with Utopian visions of a drastically changed world. If you are interested understanding mid 20th Century American politics and consumer culture, this book is a must-read. Owen Hatherley, writer of the blog Sit Down Man, You’re A Bloody Tragedy, has written a short book that asks on the first page “can we, should we, try to excavate utopia?” While this book most certainly deals with architecture, it also delves into modernity in film, sexual politics and theater. The book is divided into four sections, each of which can be read independently. The common thread through the four sections is desire to return to a modernism of everyday life, rather than the timid “Ikea modernism” we are left with today (Hatherley states that “Modernism has resurged, but in much the same way a Labour government is no longer a Labour government). Moving in to the second section, on Soviet Modernism of the 1920s, is a look at a chapter of architectural history that has been to a large degree ignored. I found the most interesting part of this chapter to be the proposals for disurbanism put forward by sociologist Moisei Ginzburg in 1930. Opposing the idea of collective planned spaces under socialism, he advocated a form of development where vast networks of people live in transportable pods and connected by transportation networks. Hatherley points out the fact that this is the extreme of both collectivism and individualism, and that it is a prophecy of what Los Angeles was to become in the second half of the 20th Century (but far more extreme than what Los Angeles actually became). The paper architecture (and some actual realized architecture) of this era is something I probably need to become more familiar with to fully appreciate this section. The following two sections, reading modern film and it’s relation to sexual politics and theatre, weren’t as strong as the architectural chapters. They do help support the argument for modernism as a total break from the past- a new way of thinking and living that offered “possible outlines of a world after capitalism.” Perhaps we don’t literally need the exact type of socialist utopias envisioned in the first half of the last century, but it is quite sad that we don’t bother dreaming of a world that could be different from our own- even as we watch the foundations of our system collapse around us. This is a very thought-provoking book, and a bit hard to find in the US at present. 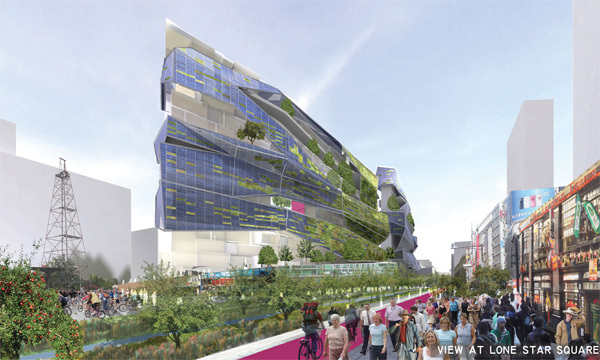 My team from David Baker + Partners and Fletcher Studio won Urban ReVision Dallas! We’ll have http://onhealthy.net more info posted soon,along with the rest of our images. Congrats to the other two winners and everyone else that entered. 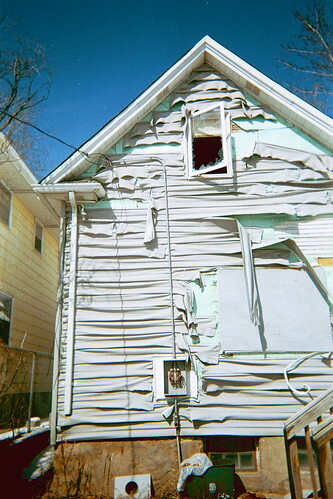 How NOT To Do Vinyl Siding, originally uploaded by hoff_john. The Vinyl Siding Institute has tried to claim that vinyl siding can be a green material, even going as far as instructing people how to get LEED points by using it on new buildings. While the movie portrays it as a difficult choice finding an alternate material to re-clad the filmmaker’s parents’ house, for new construction there are a variety of competitive materials including fiber cement siding and stucco that may cost slightly more up front but don’t carry the tremendous externalities of using a product as toxic as vinyl. There is a lot going on at the San Francisco Museum of Modern Art right now, here’s a brief synopsis of a few of the shows. The William Kentridge show on the 4th floor was great, but I would probably have to budget most of a day to really see all of the work. Much of it is in video format and requires a substantial amount of time to watch. Unfortunately, his Drawings for Projection series were being shown in the smallest room with a very limited amount of seating. Had the accommodations been better, I probably would have watched the full cycle of these films during today’s visit. The large number of original drawings that accompanied all of the video work was well-presented and helped me to appreciate his process as I had only seen his work in video format in the past. I was looking forward to J. Mayer H. architecture exhibition mostly because I hadn’t been to an architecture exhibit at SFMoMA in a while and I thought this was going to be a real show. Unfortunately, it was an installation that consisted of kiosks with TV screens mounted in them showing a variety of patterns. I know, I know- Mayer is inspired by patterns (hence the show’s title “Patterns of Speculation”). There are also videos projected on the walls showing images of renderings (wait, can you have an “image of a rendering”?) and built work. There are no drawings, and there is no information telling you what you’re looking at, and there is nothing about the process of how patterns of numbers translate into buildings. If you have no attention span and low expectations, you’ll be satisfied. After seeing the breadth of the Kentridge exhibit on the top floor it was a little hard to take this “show” seriously considering it would fit in my apartment with lots of room to spare. Maybe this is a sign that I’m too old-fashioned. The next room is filled with intriguing rusted steel models of theoretical projects (Library, Theater, Museum and Cathedral) by the late Simon Ungers. Apparently influenced by Ledoux and minimalist sculpture (think Donald Judd + Richard Serra), each model is for a particular building type is made up of idealized forms. Each piece is on a custom wood base with an accompanying drawing on the wall behind it. While the work is a bit outside my normal architectural intersts, it’s an interesting show from a practitioner who built few buildings before an untimely death. Upon reading the news that the median home price in Detroit was $7,500 for the month of December, the reality of just how bad the recession (although I would say it’s edging more towards the dreaded “D” word now) finally sunk in. 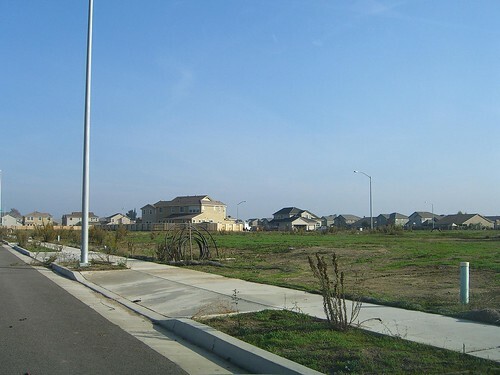 Things are bad here in California too- unemployment is now over 10% and ghost towns have appeared where houses were once selling for over half a million dollars. Housing prices in the East Bay, particularly Oakland and Richmond, have plummeted. It is now possible to buy a house for well under $100,000. In some cases, houses that sold in 2006 for $300,000 can now be had for as little as $20,000. Granted, people shouldn’t be paying massive sums of money to live in Matnteca to commute 90 miles each way; similarly, houses in crime-ridden neighborhoods next to refineries should never have been selling for $300,000 in the first place. It does how much http://onhealthy.net/product-category/skin-care/ times have changed in the last two years though. As much as I hope the “stimulus package” does work, I’m very pessimistic. Our entire idea of what “normal” is needs to be recalibrated. I don’t even know what to think about places like Detroit. 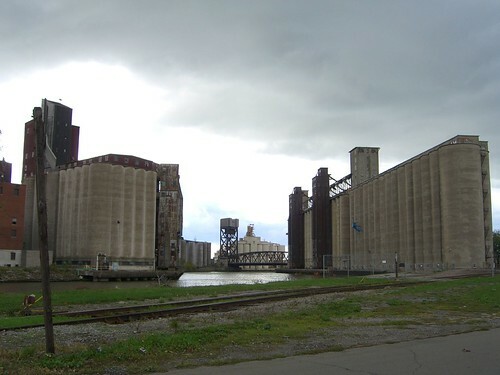 After growing up in the Rust Belt (near Buffalo) and getting used to hearing about layoffs, declining populations and abandoned buildings, hearing this last hopeless statistic about Detroit is almost too much to bear (although conversely, Buffalo is doing well in comparsion right now). Selling jeans with architecture, originally uploaded by mark.hogan. Philip Johnson’s Glass House fills the background of this http://tadalafiltablets.net billboard in San Francisco’s Union Square. Before I write about the two Wright houses I visited, I have to share this news article. Thanks to some groundbreaking research, it has been determined (scientifically) that Damp, Moldy Houses Cause Depression! Okay, to be accurate, they “MAY” cause depression. I don’t think I needed the American Journal of Public Health to tell me that. 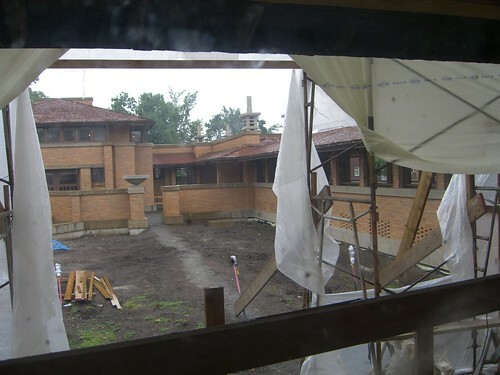 This article is not supposed to be related to the Wright houses, but I have a feeling the Martin House may have been damp for a while before the restoration started. Darwin Martin House, Buffalo NY- work in progress. Click here to visit my flickr page and to see more images. While traveling last week, I had the chance to go to two different Frank Lloyd Wrght designed facilities. 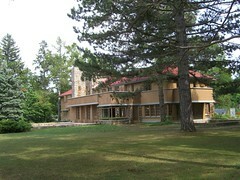 The first was the Darwin Martin House on Jewett Parkway in Buffalo. 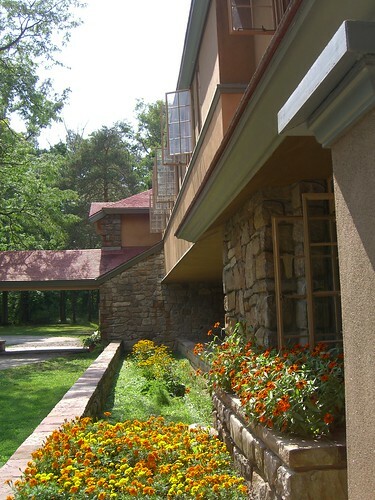 It was one of FLW’s most elaborate commissions, it consisted of a main house, a conservatory, a carriage house, a house for the client’s sister and another house for the gardener. It is said that the budget was almost unlimited when I was built around the turn of the last century. I went on a deluxe tour that covered all parts of the site, and it was definitely worth the time. I had been to this house a few years ago, but it looks completely different now. The Martin House Restoration Corporation (the non-profit that is restoring the house and raising money) has rebuilt portions of the complex that were torn down in the 1960s. In the last few years, the pergola and carriage house have been rebuilt and the gardener’s cottage was purchased and opened to the public this summer. 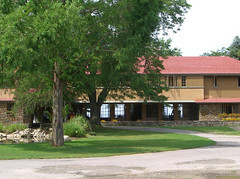 This was one of Wright’s finest buildings, done at the peak of his career. I highly advise you to visit if you are in the area. I’ve heard that Wright kept the drawings for this house pinned up in his office for the rest of his life after it was completed. The other Wright complex I visited was the Graycliff estate, in Derby NY (only about half an hour from downtown Buffalo). I mentioned this house before in an earlier post, but I didn’t give any of the background. This house was also designed for the Martins, but Mrs. Martin was the main client here as opposed to the city house where her husband was in control. 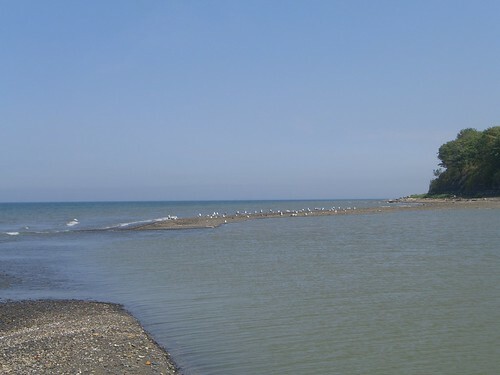 She wanted a light-filled and airy summer escape on the shore of Lake Erie. Wright obliged by giving her a fantastic house on a 70 foot cliff. The first floor is glass on both sides and very thin so that from the front, a visitor can see the water and the horizon through the living room. This house was much better preserved because it has never been vacant. A religious group (the Parist fathers, a group of priests from Hungry) owned it and lived there until a few years ago when it was purchased and restoration began. The priests never tore down any of the original buildings, so the work necessary here is not as extensive as at the Buffalo house. I’m going to be out of town for the next few days, so I won’t be posting much. 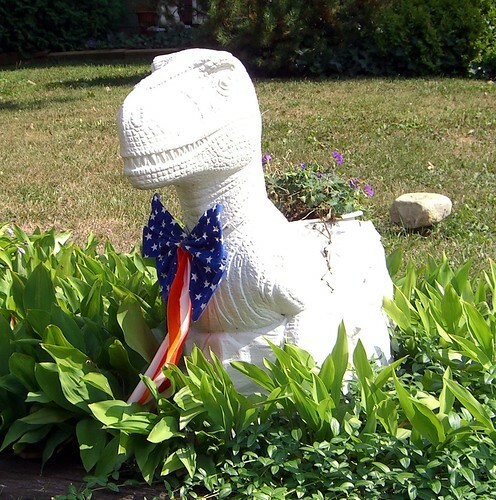 I am visiting my family in Buffalo. I’ve been to two different Frank Lloyd Wright houses in the last two days which I’ll post about when I get back. Here are some photos of the Graycliff Estate in Derby, NY which Wright designed in 1928. I’ll post photos of the Martin House in Buffalo soon.